Are you interested in mining? Do you want to know more about graphite mining? 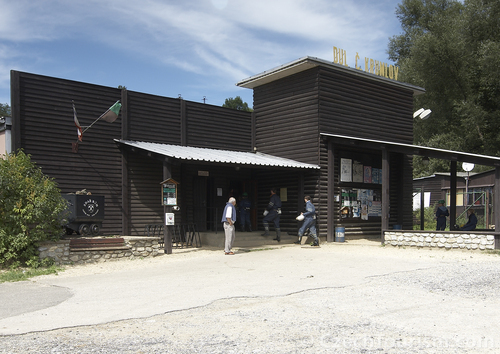 If yes, you can visit the Graphite mine and see its attractive underground in Cesky Krumlov. 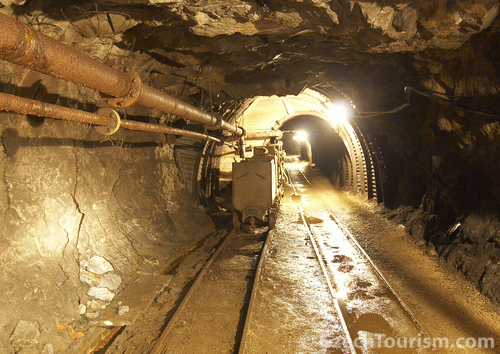 The whole tour is by mine�s train with qualified guide. Clothing, shoes and protective equipment will be borrowed. The Cesky Krumlov vicinity had always a rich mining tradition including not only graphite mines but silver, gold and other minerals and rocks. The ore field in the surroundings of Cesky Krumlov was ranked among the most important silver and gold pockets in South Bohemia. The very history of graphite mining reaches back to 800 BC when Celts utilized graphite to produce so called graphite ceramics. 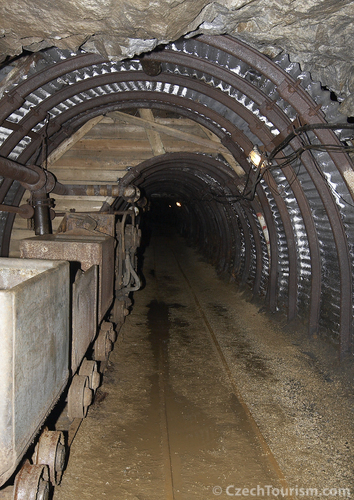 Although a major part of the quondam mines lay under the current town and the mining proceeded for more than 350 years, there is preserved just few particular data on mines location and their range. 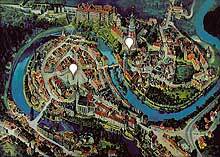 Even thought silver mining culminated in surroundings of Cesky Krumlov in 16th century, silver, gold and ore mining had subsequently disappeared until the end of the 16th century. On the other side graphite mining took a relevant role in the economy of the 18 - 19th centuries. First mention of graphite mining in Cesky Krumlov region came from 1767, but graphite mining had probably started even before this date.